It is true that 80% of the success of your direct sales party happens before the show even begins. Learn how to host coach to make every party the absolute best it can be. First, you want to prepare your Hostess Folders. This Hostess Folder is where you will keep all of the information pertaining to each party. This will help you with Hostess Coaching as well as staying Organized. Each Party gets a folder as soon as it is booked. The Hostess Worksheet I should be stapled to the inside left of a file folder, the Hostess Worksheet II stapled to the inside right of the file folder. Everything for this party will be kept in this folder. Fill in the top of the first Hostess Worksheet I as soon as you get the party booked. 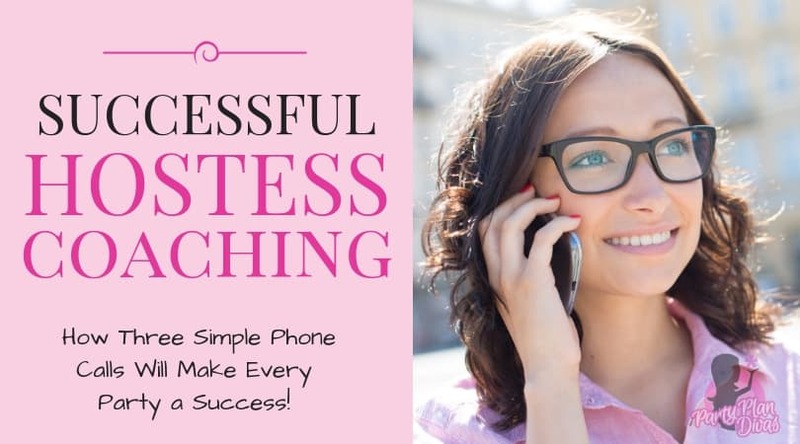 The Hostess Worksheet I has an outline for you to use when making your Hostess Coaching phone calls. Confirm the party date – Always write your bookings in pencil! Once you get your Guest List, you will know the party is set in stone, and switch to ink. Sometimes when booking parties at parties, the Hostess will need to change the date! Go over Hostess Packet contents – If you booked the party from a party, you handed her a hostess packet to take home with her. If not, confirm the address where she would like it mailed. For this example, we are going to assume she already has the packet. You will go over each of the items in the Packet, being sure to emphasize the importance of the guest list. Go over your Cancellation Policy – The point of the Cancellation Policy is to not use it!! By adding a Cancellation Policy to your Hostess Packet, it shows you are serious about your business! The Cancellation Policy will most often get the Hostess to either A – cancel 2 weeks ahead of time, giving you plenty of time to rebook the date, or B – do whatever she needs to do to hold the party!! Start her Wish List – Tell her to make her list of items she wants to earn for free! This will get her excited about the goodies, and also, when it comes time for her to order, you have her wish list for her to choose from, saving time in the ordering room! Does she have any questions? – This is important – this will tell you a lot about your Hostess and what she is expecting from your party! Let her know when you will call her again – Simply saying, “I will touch base in a few days” lets her know she will hear from you again, and you are serious about your business and about giving her the best party you can! The second call should be at least 3 days after the initial call, especially if you had to mail a Hostess Packet. With these three calls, you need to divide up the time between to make sure you get all three of them in! Even if you only have 10 days from the day you Book until the Party Date, make sure to get these three calls in. Remember, Hostess Coaching is crucial to the success of your party! Make sure your Hostess received the Hostess Packet if you had to mail it. Go over the First Call if this is the first time talking to her with her having the Hostess Packet in hand. Status of Guest List – if you have not received it, make arrangements to get it from her. Remember, this is how you secure the booking. You must have a Guest List in order to do her party. If you have received it, let her know when the Invitations were mailed out. Outside Orders – You may choose to give Double Hostess Credits on outside orders. For one, this boosts your party sales without you having to do any work! But also, it is going to show your Hostess how easy it is to collect orders for your business, which sets up a great Recruiting Opportunity! Ask if she needs more Catalogs or Outside Order Forms. Also, be sure she knows about Online Shopping and give her your Personal Web Domain. Pre Party Game – If you have includes a Pre Party Game in your Hostess Packet, check on the status of how that is going. Check out the Free Printables for our Pre Party Games. Finished Wish List – again, simply saving time in the Ordering room! Any questions? – See if she has any questions for you! Even though you may use a gps for directions, getting the directions from the Hostess the day before the party will often give you some landmarks or better understanding of how to get to the destination. Also get an approximate headcount – make sure you bring enough supplies in case the party is much larger than the Guest List! The Final Call– The day before the party! Has she completed the Party Squares? Let her know when you will arrive – Depending on your industry, you may need to arrive before the guests do. However – keep in mind that parties SELDOM start on time! You want to arrive at the party location with enough time to get everything set up, so that you can chat and mingle with the guests as they arrive. Place to set up – Let her know if you need her to provide a table for you to set up on. While we recommend you carrying your own table, it is not feasible in the beginning for some vehicles/budgets. Just make sure the Hostess knows whether you will need one or whether you will have one with you that she needs to make room for. A place to take orders – In the Adult Industry, having a separate Ordering Room is required. However, with any industry, having a small place to set up your Ordering Supplies is good to have! You can use a Lapboard (See Party Presentation) for a “desk” and have your Mobile Office, and other Ordering Room Supplies. Help getting people into the Ordering Room – Let her know you will be counting on her to help you with getting people in and out of the Ordering Room. Yay! Get ready to PARTY!!! The Hostess Worksheet II should be stapled to the right-hand side of the file folder. This side will be filled out when the Party is over. You will use this Worksheet to keep the details of your Party organized, as well as to review your stats and find out what is working in your business, and what is NOT! Do not forget the THANK YOU NOTE!